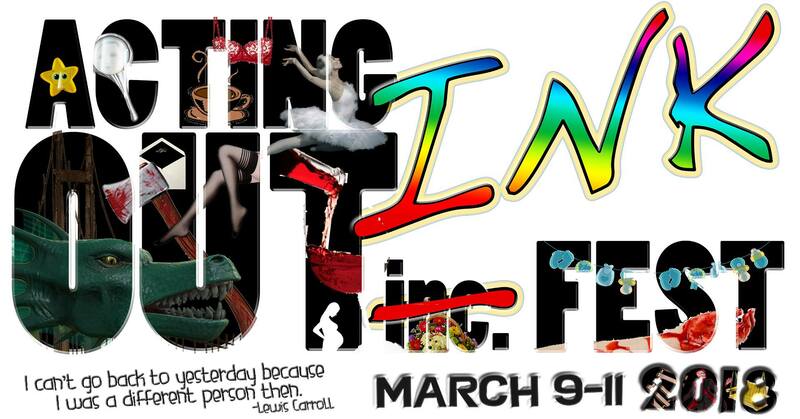 The 5th annual Acting Out Ink Fest is going down March 9-11 at the Hudson Theater in Hollywood. 3 inspiring days of Acting Out INK! Part of the “Living Giving Life” block on Friday at 2:00pm and Saturday at 2:00pm. ​Inspired by a missing scene in Crime and Punishment, we meet a massage therapist whose latest client has arrived with news that her estranged brother has committed a heinous act–murdering an old woman with an axe–and is nowhere to be found. As they try to piece together how this happened, their own dark desires and fears will inevitably be uncovered. This is the Late Night Feature playing once on Saturday at 11:00pm. The festival begins at 2:00pm on Friday, March 9, and continues every 90 minutes through Sunday night, for a total of 20 45-minute performances over the course of the weekend. 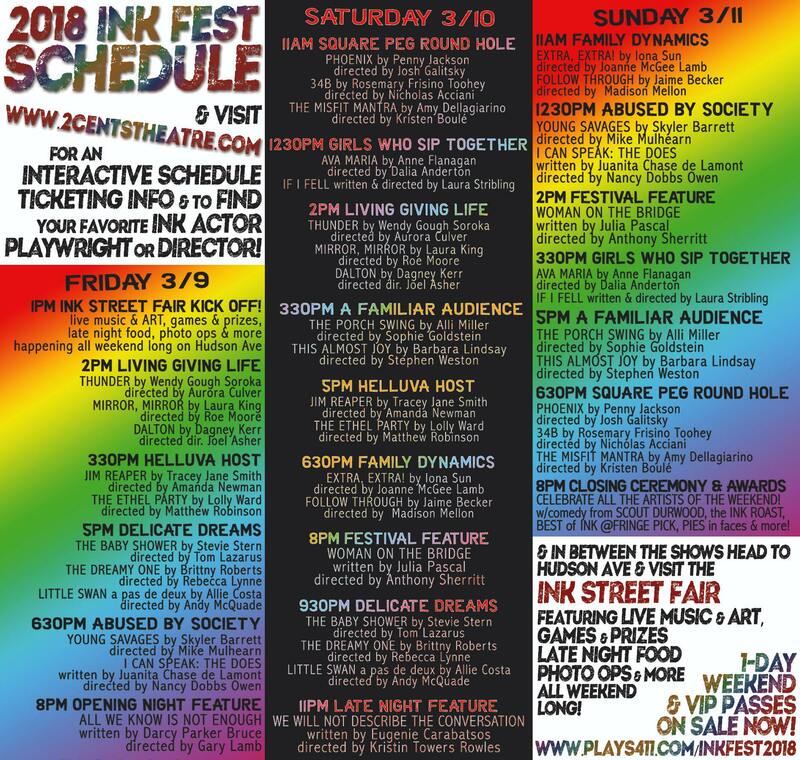 The 2018 INK lineup includes 19 short plays all under 30 minutes plus 3 feature length one-acts. And there are many ways to experience INK Fest! Day passes, VIP packages & single show tickets are available. ART will flood not just the theater, but also the street and the Hudson Cafe, serving wine & beer all weekend long. Don’t miss the opening night party Friday night after the Opening Night Feature sponsored by Fat Sal’s and Velvet Margarita! Or our inspiring closing night ceremony on Sunday, celebrating the weekend. There will be hundreds of artists of all kinds gathering all weekend long to share their ART, you’re not gonna want to miss a moment! Visit http://www.2centstheatre.com to learn more about 2Cents Theatre Company. Explore our past seasons, meet our Company Members, and check out our Mission Statement. Join our email list, or ask us questions! We want to know what you think.